A beverage can insulator with a lid top that completely encloses the can. The lid top has a turnable top cover which allows one to open the lid cover to drink from the can and close when not drinking from the can. 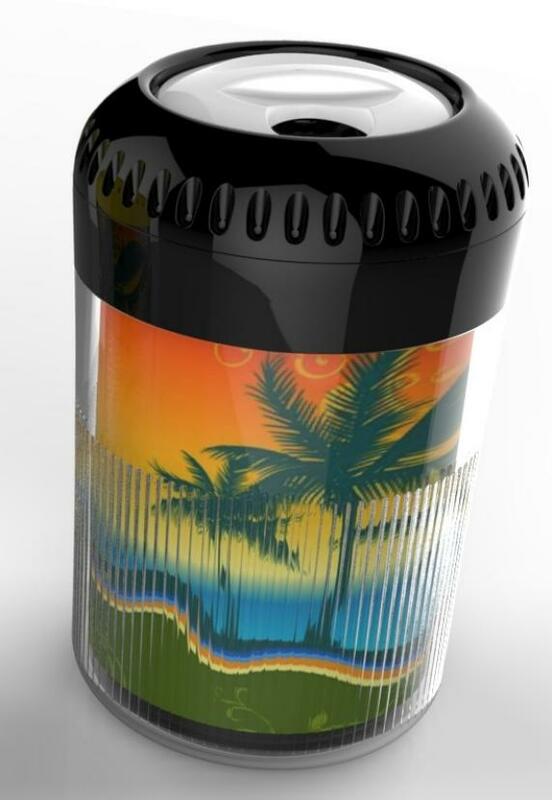 The lid top keep dirt, debris and insects out of the canned beverage. The lid top also has a 'U' channel the fits onto the rim of a beverage can which minimizes spills. Initialy we marketed the product and named it the KOOl-Z. We would consider all financial options. Preferably go into a partnership to license the product with royalites. 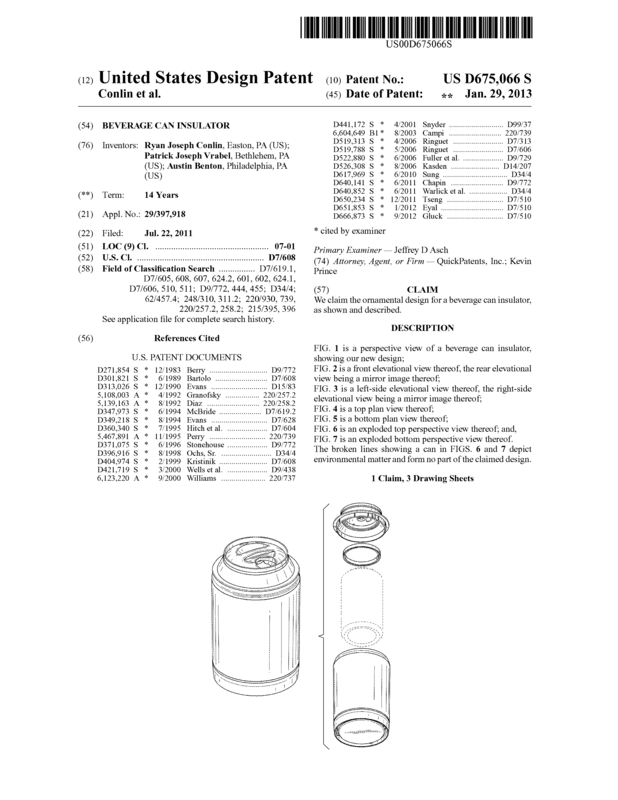 This beverage can insulator can be manufactured to fit any size can. We feel there is a huge market potential for this product. There are several types of can 'coozies' on the market currently. Very few if any can deliver both the functionality and customization of this product. Typical can coozies are made of foam and customization is limited. There are NO beverage can insulators or coozies on the market that have a working lid top. The the marketing use for this beverage can insulator are endless. The exterior is a clear hard plastic that has space for any printed paper to be place inside and would be visiable on the exterior. This makes it completly customizable, so any logo, design or marketing material could be easliy added. Page created at 2019-04-25 14:00:20, Patent Auction Time.